AS Daesh (ISIS) launches a new spate of attacks in Iraq, a senior Church figure is calling on the West to protect displaced Christian families returning home. With an upsurge of kidnappings and killings by militants claiming to be affiliated to Daesh in the east of the country, Syriac-Orthodox Archbishop Timotheus Mousa Al-Shamani told Catholic charity Aid to the Church in Need about his fears for Christian families returning home to northern Iraq’s Nineveh Plains. Despite Daesh’s hold of the Nineveh Plains ending in November 2017, after nearly three years occupation, there are reports of extremist violence elsewhere in the country. Since Iraq’s elections in May, there has been an upsurge in attacks linked to Daesh, especially in the provinces of Kirkuk, Diyala, and Salahuddin. During June there were at least 83 incidents. Most occurred of these on the motorway between Baghdad and Kirkuk. On 17th June, three Shi‘a men were abducted by militants disguised as police officers at a checkpoint on the road. The men’s corpses were found ten days later, their bodies rigged with explosives. These attacks have led to fears of a new Islamist extremist group emerging in Iraq. 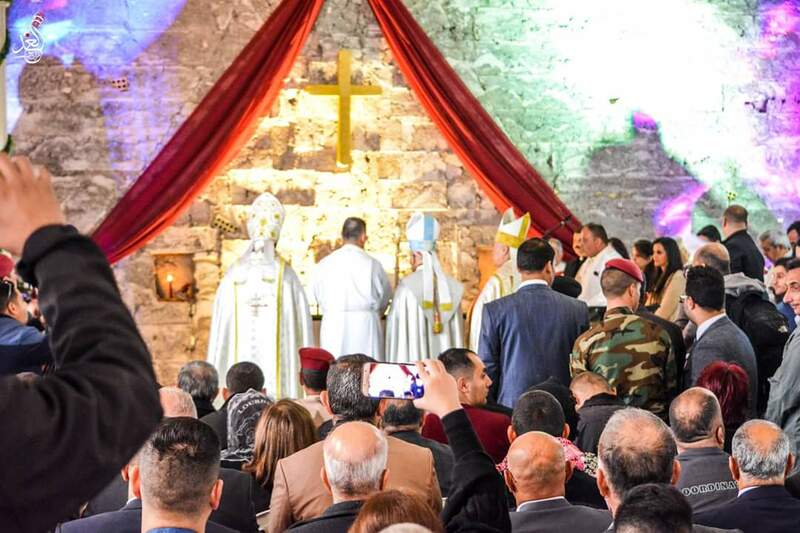 More than 40 percent of the Christians driven out of the Nineveh Plains by Daesh have now returned to their homes, as 35 percent of the houses in Christian towns and villages have been rebuilt. Stressing the need for international help, Archbishop Al Shamani said: “This summer is very critical for us. We must make every effort to rebuild these villages. Archbishop Bashar Warda of Erbil, who oversaw the care of Christian IDP families who fled to the Kurdish region, told ACN that he was optimistic about the financial assurances from the US government.